Tree varieties found at our farm. 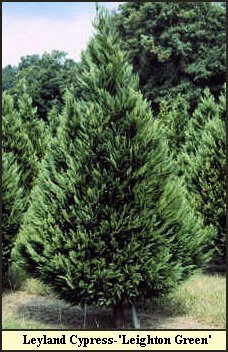 The most exciting thing to happen in the short history of the southern Christmas tree industry is the introduction of the Leyland Cypress. In the 1800's numerous tree species from all over the world were planted in an arboretum at Leighton Hall estate in England (Welshpool, Wales). Fraser Fir - brought in fresh each year and displayed in water for freshness. 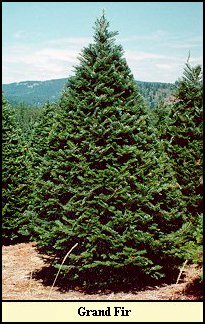 Fraser fir was named for John Fraser (1750-1811), a Scot botanist who explored the southern Appalachian Mountains in the late 18th century. The species is sometimes called Southern balsam or Southern balsam fir. Locally Fraser fir is known as "She balsam" because of the resin filled blisters on the tree's trunk. Red spruce, often associated with Fraser fir, is called "He balsam" and lacks the distinctive blisters. 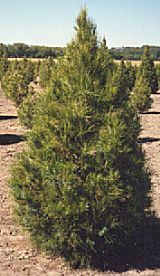 Oregon Noble Fir - brought in fresh each year and displayed in water for freshness. In the wild, the trees are tall, beautifully symmetrical and grow to over 200 feet in height. The bark is smooth with resin blisters when young and changes to brownish-gray plates with age. The needles are roughly 4-sided (similar to spruce), over 1 inch long, bluish-green but appearing silver because of 2 white rows of stomata on the underside and 1-2 rows on the upper surface. The needles are generally twisted upward so that the lower surface of branches are exposed. Grand Fir - brought in fresh each year and displayed in water for freshness. Nordmann Fir - brought in fresh each year and displayed in water for freshness. 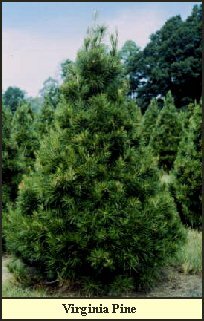 The Nordman fir is Europe's Christmas tree with deep rich color, dense foliage, rounded needles, and light fragrance. Recently introduced to the U.S. market, it has grown steadily in popularity. 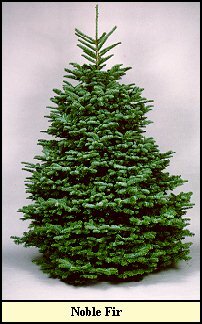 Nordman fir is a very full tree in terms of both branches and foliage. The needles display a dark, green, glossy upper-surface with a contrasting silvery white under surface. 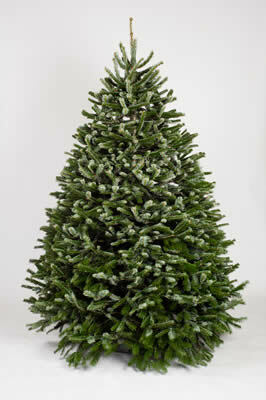 The Nordman fir has excellent needle retention that makes it a great choice for any climate. Its light scent make it a desirable species for consumers with allergies. We flock Christmas trees on-site. Professional flocking availble. 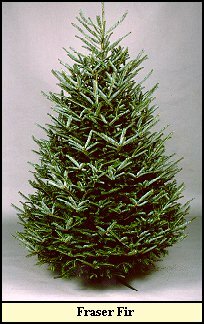 I usually flock Noble Fir, Fraser Fir and Nordmann Fir. I can flock any tree purchased from our farm. Flocking takes a few days to dry so if you pickout a green tree you will have to come back and pickup tree once it has been flocked and allowed to dry. I usually have several of trees already flocked in advance and ready to go for same day delivery. We also have flocked wreaths to match trees.